The National Minimum Wage (NMW) is the minimum wage per hour a worker is entitled to in the UK. 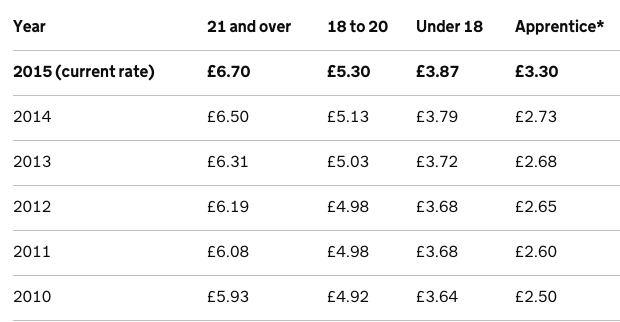 The rates are reviewed yearly by the government yet there is set to be no increase in the NMW this April after the 20p per hour rise back in October 2015 and therefore rates will remain as in the table below for the time being. From 1st April 2016, the government will introduce a new mandatory National Living Wage (NLW) for workers aged 25 and over. 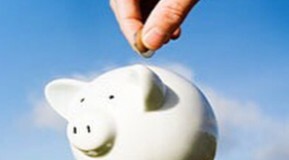 This NLW will be set at £7.20 (50p more than the current National Minimum Wage (NMW) rate). This increase will mean an extra £910 per year increase in earnings for a full-time worker on the current NMW. 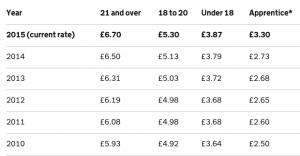 The Minimum Wage will still apply for workers aged 24 and under. Got a question? Get in touch using the form below and we will get back to you as soon as we can.